Bored of regular SMS!!! 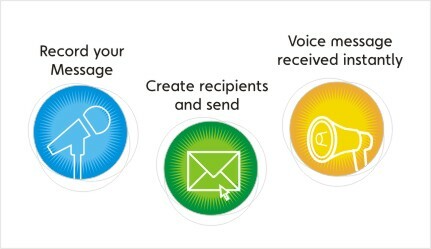 So try sending more personalized message to your customer by broadcasting your own voice. mVaayoo introduces Voice sms and OBD (Out bound Dialling ) facility. Record your own voice in any language or we can get get it done from a professional voice artist. mVaayoo can dial multiple calls in single instance and an Online MIS report is provided for real time calling status. Voice SMS or OBD can be interactive. E.g. : We are happy to introduce 20% off on all gift articles. Press 3 if you want to speak with customer care executive now. mVaayoo will provide all the real time reports of user activities.